Lawyer Özge Elif Hendekçi, member of Istanbul Bar Association, was detained with a police raid in 2.30 am on 17th August 2017; although she has been at 8th month of a risky pregnancy. She has been still under police custody in Istanbul Police HQ. There has been a relentless campaign of arrests which has targeted fellow lawyers across the country. In 77 of Turkey’s 81 provinces, lawyers have been detained and arrested on trumped-up charges as part of criminal investigations orchestrated by the political authorities and conducted by provincial public prosecutors. 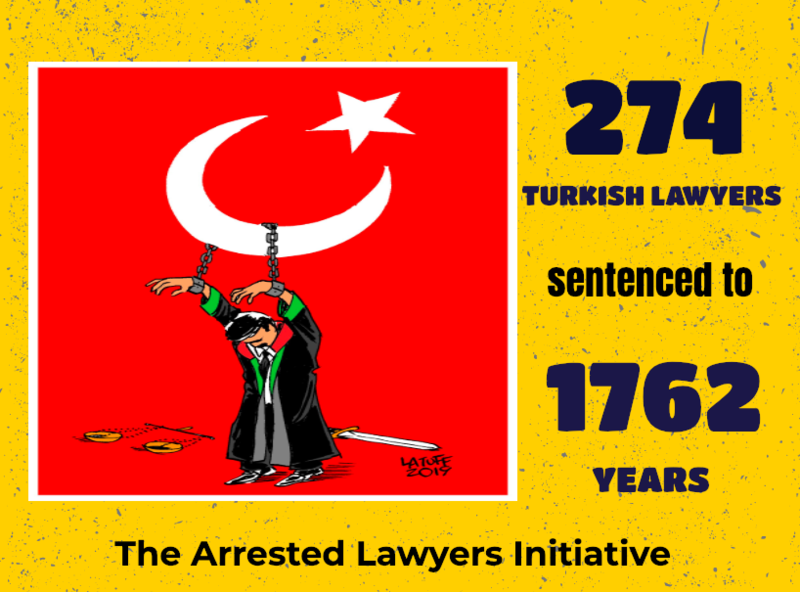 As of today, 523 lawyers have been arrested and 1318 lawyers are under prosecution. Only last week (14-18 Aug); one lawyer was arrested, 4 lawyers were taken under custody and still being held, 60 lawyers were on trial.